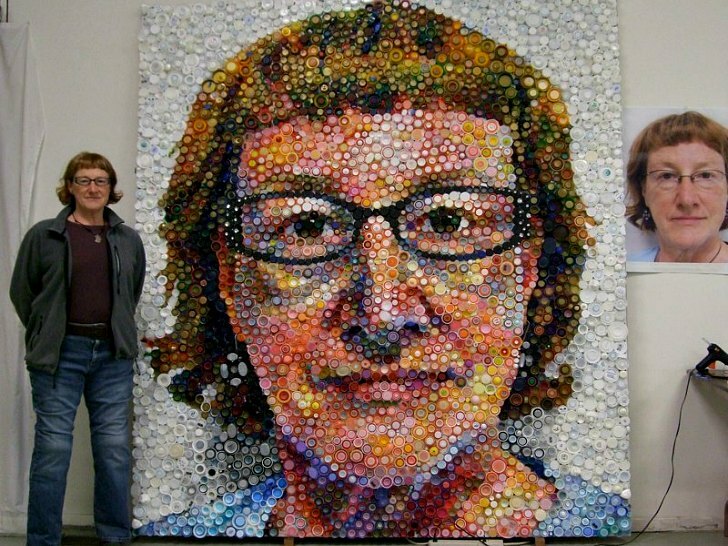 Inspired by artist Chuck Close and a need to positively impact the environment, Chicago artist, Mary Ellen Croteau created an 8'x7' self-portrait made from bottle caps. To create the different color schemes, she color-coordinated by placing smaller caps inside the larger ones. 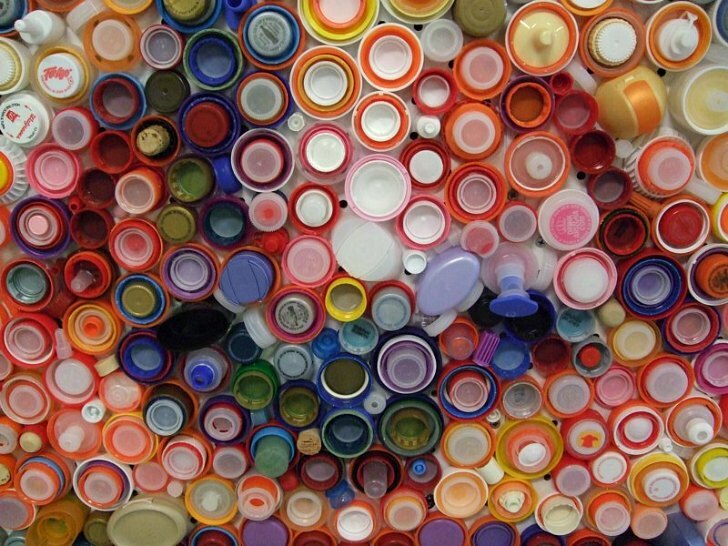 Recycled art has been growing in popularity and after seeing this piece, we can understand why! We are all about recycling and helping the environment and we love that she was able to create a beautiful piece of art while doing so. Kudos to Mary for her creativity and her passion for the environment. Check out more pictures of the process on Inhabitat.